Choosing a dentist can be a tricky process. 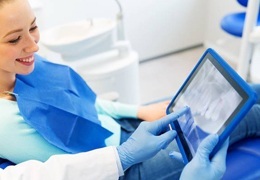 You have to examine the dentist’s credentials, read their reviews, and make sure they offer the services you need. 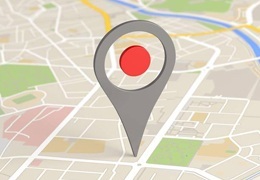 Location is also something to consider, but it isn’t the most important factor that should play into your decision. Indeed, you may discover that it is worth a bit of a drive to receive the compassionate, skilled oral healthcare that you deserve. That’s why Dr. Griffith and the rest of our team warmly welcome patients from across our region, including folks who live in Louisa. 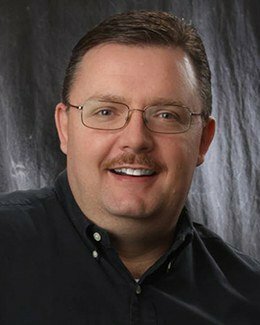 Dr. Bryan Griffith had earned a reputation for the gentle, kind care he provides. Indeed, his strong focus on patient comfort motivated him to become one of only a few dentists in the state who are certified to offer oral conscious sedation. He uses state of the art equipment in his office, and he continually attends courses that keep him at the forefront of his profession. The excellent care Dr. Griffith provides draws patients from all across Kentucky. He even has patients who travel from West Virginia, Virginia, Tennessee, South Carolina, and Hawaii to receive the top-tier services he offers. Several members of our staff have decades of experience in helping patients enjoy positive dental care experiences. They are all friendly and devoted to delivering five-star service. 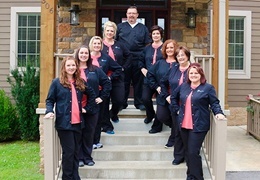 Our team includes a practice manger (who is also a registered nurse), two dental hygienists, a patient scheduling coordinator, a financial coordinator, and three dental assistants. We offer a comprehensive range of services. If you’re just looking to maintain your oral health and prevent future problems, visit us for routine cleanings and checkups. On the other hand, if your smile needs a bit of repair, you can rely on us for that as well. We even offer one-visit restorations so you won’t have to make multiple trips from Louisa to get a new crown. Cosmetic dentistry to reshape your teeth and vanquish old stains. We even use advanced smile makeover software to help you visualize your new look before you commit to your treatment. Dental implants to replace missing teeth as seamlessly as possible. Periodontal therapy to help you fight gum disease. Emergency dentistry to quickly relieve your pain and get you back on the road to a healthy smile. Travel south on US-23 through Paintsville and Prestonsburg, and continue on US-23 toward Pikeville. At the interchange of KY-80 and US-23, take the exit on the right. Then, keep left to stay on the ramp toward KY-302. Turn left (north) onto KY-302, and continue straight for 1.3 miles. Turn right onto Wrights Lane, and take an immediate left into our parking lot.